So, it's May and Star Wars celebrates its 40th anniversary this month. 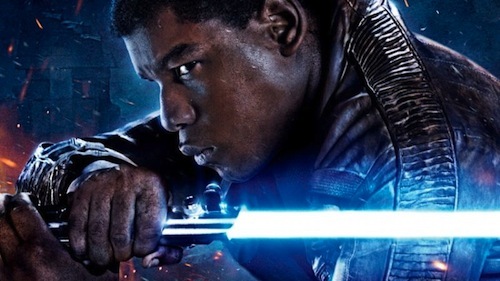 However, the Force moves in mysterious ways as John Boyega (Finn) discovered whilst on a date. Speaking on the BBC's The Graham Norton Show, he said: "I went on a date in New York City and we were driving through Times Square and she asked, 'What do you do for a living?' I just pointed up at the 'Star Wars' billboard that showed me with a lightsaber and said, 'That!' That was the end of the relationship - the poster really affected her... I blocked her on my phone." Boyega reprises the role of Finn in Star Wars: The Last Jedi this December. Is Jenna Coleman returning to Doctor Who? House of Cards sees "One nation, Underwood!"